Roy Lowe is Reader in Education at the University of Birmingham. He is author of numerous books and articles on aspects of the history of education and currently edits History of Education. Lowe, Roy. 1995. “"Further Than Ever Before&quot;: New Right Ideology and Education”. 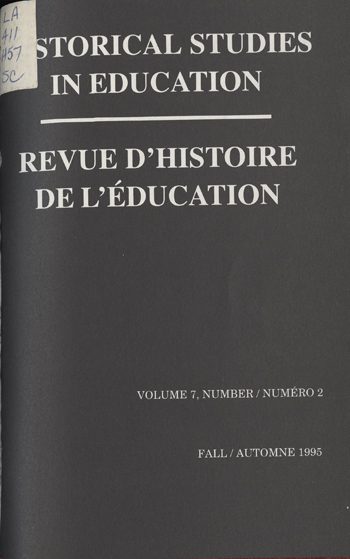 Historical Studies in Education / Revue D’histoire De L’éducation 7 (2), 177-91. https://historicalstudiesineducation.ca/index.php/edu_hse-rhe/article/view/1397.